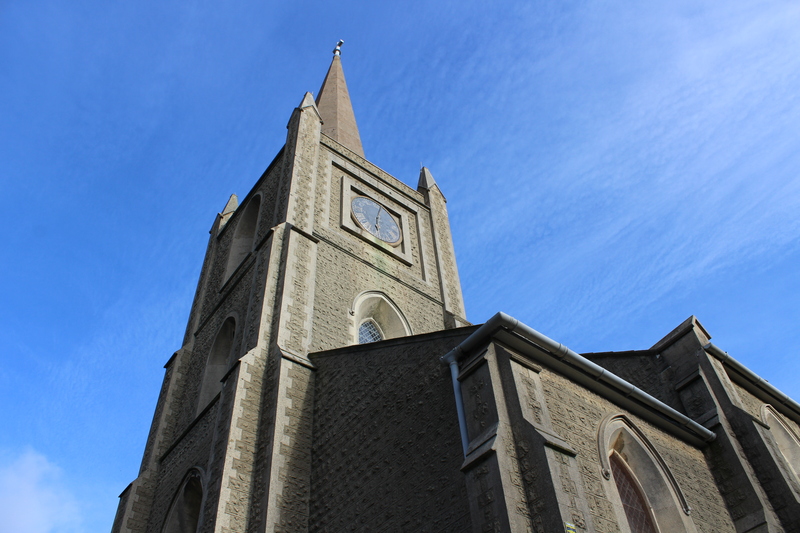 The construction of the church was completed in 1849 by Henry Venn Elliott, the first incumbent of St Mary’s, Rock Gardens , and Founder of St Mary’s Hall, a school for the daughters of poor clergy. His school in Brighton was inspired by the Clergy Daughters’ School in Casterton, run by his friend, Rev. W Carus Wilson, which had impressed Henry Venn when he visited. Charlotte Bronte described the school – not very flatteringly – in ‘Jane Eyre’. However, Henry Venn must have seen a very different school for he ‘offered up a little prayer that the Brighton School might receive a similar blessing’. Lord Bristol invited Henry Venn to move to St Mark’s, but he declined, feeling it was his duty to remain at St Mary’s, which he did for thirty years, until his death in January 1865. In 1986, when St Mary’s Hall was celebrating its 150th anniversary, the governors heard that St Mark’s was likely to become redundant as a parish church and there was the possibility that it would be offered to the school. There was some hesitancy about taking on such a commitment. The survey was frightening, but by this stage everyone had realised what a tremendous asset St Mark’s would be. From 1987, St Mary’s Hall began using the church for assemblies, services, awards ceremonies, concerts, plays, even public examinations – after certain basic alterations and improvements to the building had been carried out. In 2005, an appeal was launched to raise funds to improve the facilities at St Mark’s, with a view to extending its use and sharing the space with local community arts groups. This project was progressing well, but came to an abrupt halt in 2009, following the merger of St Mary’s Hall with Roedean School . St Mary’s Hall Senior School site was sold to the Royal Sussex County Hospital and the Junior School to Brighton College. St Mark’s Chapel was gifted, together with the restricted funds raised by the appeal, to the parish of St George’s in Kemp Town. The Parochial Church Council of St George’s appointed a management team of arts professionals to initiate the ongoing development programme, and a board of trustees to oversee progress of the new charity, Spire Arts, at St Mark’s Chapel. Past pupils and staff of St Mary’s Hall, members of the St Mary’s Hall Association, sustain their important historical link with the chapel through the work of the committee of the SMHA – and a loyal band of bell ringers provides a weekly reminder to the local community of the Chapel’s new lease of life. The link between the school and the chapel remains strong, as we embark on the next exciting phase in the history of St Mark’s.